Join us for the Inaugural Heroes Ride that will cover Volusia and Flagler Counties. This ride is going to be hosted by Rue and Ziffra and is a FREE ryde. Central Florida will meet up at the Wawa in Sanford located at I-4 and RT46. Our meet up time will be at 7:00am with a feet up time at 7:30am. We will then go up to Flagler via the interstate. We will have a top stop at the RaceTrac in Palm Coast before heading in to the event. Planned time for top off is 8:30am. If you hare planning on attending we ask two things. One please comment below so that we can get a head count and two, please preregistered via the button below with the event host. Thanks! Join us for a multi-chapter event in Sebring, FL. We will meet up with folks from the Florida West Coast, Southwest Coast, South Florida, and possible the Treasure Coast as we all converge on Sebring for lunch on Saturday, April 20th. This is always a fine time which allows us to reconnect with old friends and meet up with new ones. We will be taking the scenic route down to Sebring leave Central Florida PowerSports at 9am. This meetings meet up time will be at 8:30 with full tanks! 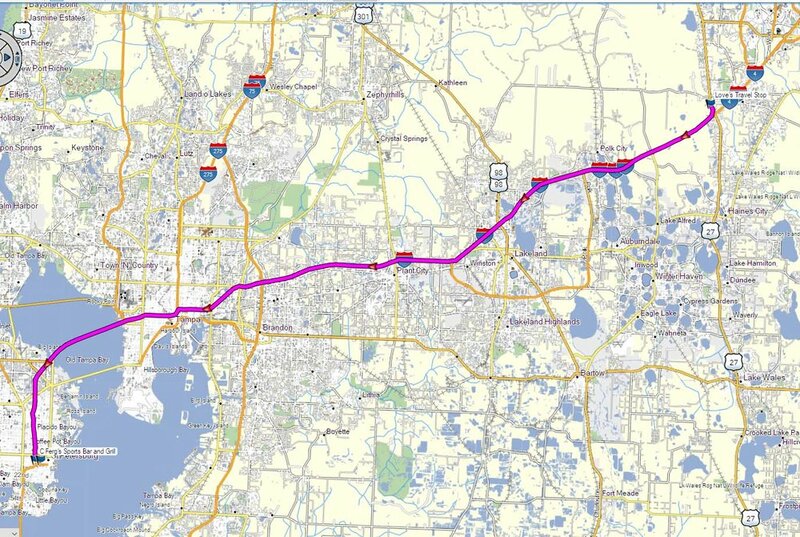 Our route will have us stopping in Lake Wales for a short break before heading down to Sebring. This is one event you don’t want to miss. Total mileage to Sebring is 80 miles or 2hrs and 30mins of moving time. The first 2019 Road Warrior Awareness Ryde will be hosted by Central Florida Powersports and US Spyder Ryders - Central Florida Chapter - you are all invited. This event will raise funds and promote the mission awareness for the Road Warrior Foundation. Arrive by 9:00 am to confirm registration and a light breakfast. There will be a local ryde starting at 9:30 am followed by lunch along with door prize drawings (from Lamonster Garage, Harvey SpyderPops, SpyderExtras, CanAm Spyder Accessories, and more) and a 50-50 raffle. Road Warrior Apparel Sales that you will not want to miss. Registration fees are $35 for registration prior to March 20th and $40 for registration after March 20th. Click the below button for event updates and registration. For anyone that signs update there will also b e a Ryde with the Warrior event on Sunday, March 31 along with a Meet and Greet Dinner to show your appreciation. Details around both will be shared upon registration. It is always a fun ryde to this 50’s and 60’s style diner. Join us on Saturday, March 9th for a great adventure. We will be starting off at Central Florida PowerSports with feet up at 10am (all ryders are asked to be at CFPS at 9:30 for a head count). 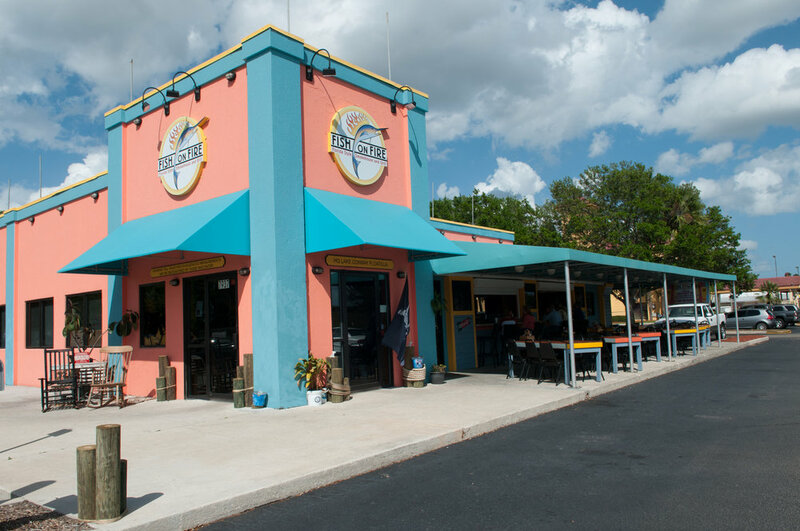 Our route will have us taking some nice secondary roads down to Vero Beach for Lunch at Mrs. Mac’s Fillin’ Station. From there we will fuel up before heading back to Central Florida via scenic A1A and Highway 520. Our ryde will officially end at the ramps of the Beach Line as we make our way back into Central Florida. Total Route Time (Moving) – 4hrs. 11mins. We will be ryding to this event at Ferg's Sports Bar, 1320 Central Ave. St. Petersburg, FL again this year. All benefits go to our major charity organization, The Road Warrior Foundation. DRINK BEER OR DON’T, IT DOESN’T MATTER. SUPPORT OUR HEROES AND FEEL GOOD ABOUT IT! The 5th Annual Hops For Heroes Craft Beer Festival benefiting the Road Warrior Foundation will have over 30 breweries offering over 100 different beers, music by DJ Professor, Silent Auctions, giveaways and more fun. Join us in supporting our nations heroes and sampling some tasty brews for this years festival! Click on the map for the GPS file of the ryde. Click the map for the GPS file. Post a comment below if you plan to join in this event. Hope to see you on the ryde. This will be a great ryde up to Ormond Beach for lunch at D. B. Pickles, 400 South Nova Road Ormond Beach, FL. The meet-up location will be at the Racetrac at the intersection of RT441 and Wolf Branch in Mt. Dora at 9:00AM. Our route will take us up to Flagler Beach to ride the best part of the Ormond Loop before heading to D.B. Pickles. Our return route will bring us back to Sanford. We will be starting out from our favorite sponsoring dealership (Central Florida PowerSports) and will ryde to our lunch and meeting destination in DeBary. We have also opened our 2019 Board Nominations Form (click the button to the right). We will once again be utilizing our website and a custom form for the nomination process. Within the form, you will find a description of the main responsibilities for each position along with a listing of all current paid members through December 30, 2018 that are eligible to hold office. Please select a member you wish to nominate in each drop-down and click the submit button. Your submission will be recorded and we will begin to draft ballot sheets for our meeting. Nominations will be accepted up to Wednesday, January 23rd and I ask that before nominating someone for a position, please make sure you read the requirements which are posted prior to entering the form. Discuss suggested changes to the membership section. Expend this section to include all 3-wheeled and 2-wheel street legal motorcycles and autocycles. Remove the requirement of associated member needing a sponsor. Feet up will be at 9:30am, route to lunch will be 78 miles. 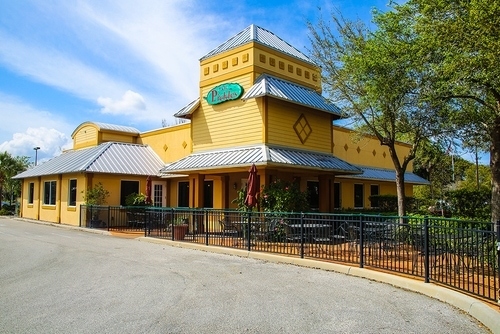 Meeting & Lunch will be at Swamp House Grill in DeBary with an arrival time of 12:00pm. Meet up at Central Florida PowerSports at 10:00 am and Depart at 10:30 am. We’ll take a scenic route around Lake Toho then north on Narcoossee Road and around the Orlando Airport to lunch at Fish On Fire. 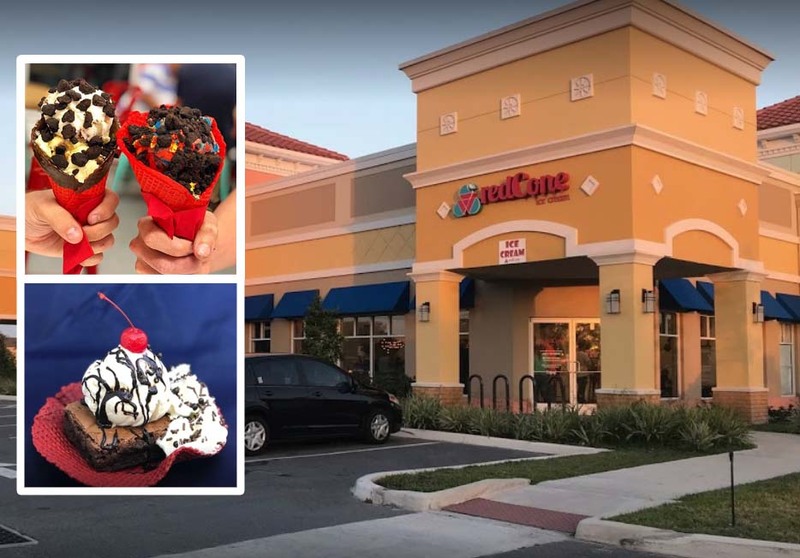 After lunch we go to a great Ice Cream shop, Red Cone Ice Cream. Should be a great, fun ryde. Hope you can join us. Post a comment if you plan to join this event. Join us Saturday, December 29th for our end of year ryde. We will ryde to Newberry, FL to meet up with our Jacksonville Chapter / Friends. Meet up will be at Wawa in Sanford (Rt 46 and I-4) starting at 8:30. Feet up will be at 9am for nice ryde through parts of the Ocala National Forest. The ryde up to Newberry will be 133 miles and we should arrive around 11:45am. Both the ryde up and back will take us through Florida’s Horse County and at this time of year the fields should be active. On our way back to Central Florida we will stop at the Okahumpka Rest Stop before parting ways. Interested in looking at the menu; click here. Looking for the GPS File; click here.